What’s going on? Why is everyone sick? 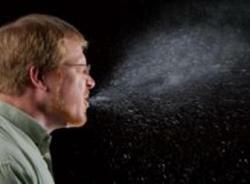 The flu season runs from fall to spring – winter was a tough flu season in North Carolina and Arizona. It seems like we’ve barely rebounded from flu and now here come the allergies, ear infections, bronchitis and sinusitis. Why is everyone sick? The answer seems to be respiratory problems related to the start-up of pollen season. FastMed is the place to go if you’re suffering the discomfort of seasonal allergies. Coughing, sneezing, itchy eyes can last for weeks and sometimes over the counter medications just don’t cut it. The FastMed medical team will try and help with some prescription ant-histimines or nasal steriod sprays, depending on the symptoms of your condition. While allergies aren’t the only reason why everyone is sick, 1 in 5 Americans suffer with asthma or allergies. The number of workdays lost as a result of “hay fever” is over 4 million. FastMed Urgent Care is a way to relieve symptoms of the pollen from ragweed, grasses, or indoor irritants. Our medical staff will be able to discuss why everyone is sick and hopefully keep you from joining them. Seasonal allergies if left untreated can cause irritation of the respiratory system. If the symptoms from the allergies end up blocking your sinus cavities and mucous can’t drain, you can end up with a sinus infection. The same situation can happen with the bronchial tubes – irritants cause the tubes to swell, mucus builds up and an infection works its way into your chest. When you show signs of a respiratory infection, come to the FastMed Urgent Care nearest you to begin relieving the swelling, coughing, pain and discomfort. Why is everyone sick? It might be that seasonal allergies are triggering respiratory issues. Don’t wait for an appointment - FastMed Urgent Care is walk-in clinic open 365 days a year – just drop by and let us help.